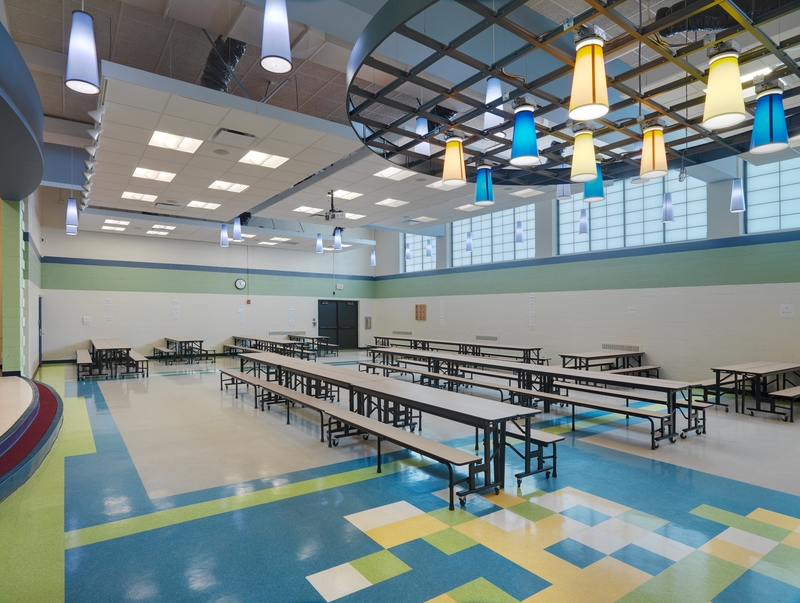 Lincoln Elementary was the first of three elementary schools in the district to be reinvented. 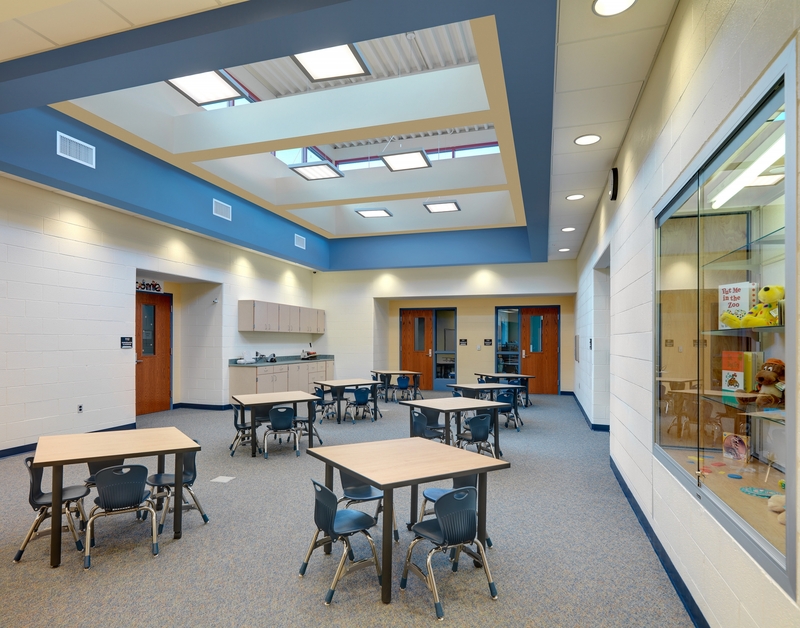 It set the standard for the other two by establishing innovative technological and collaborative learning spaces. It also provided much-needed student resource and administrative support areas. 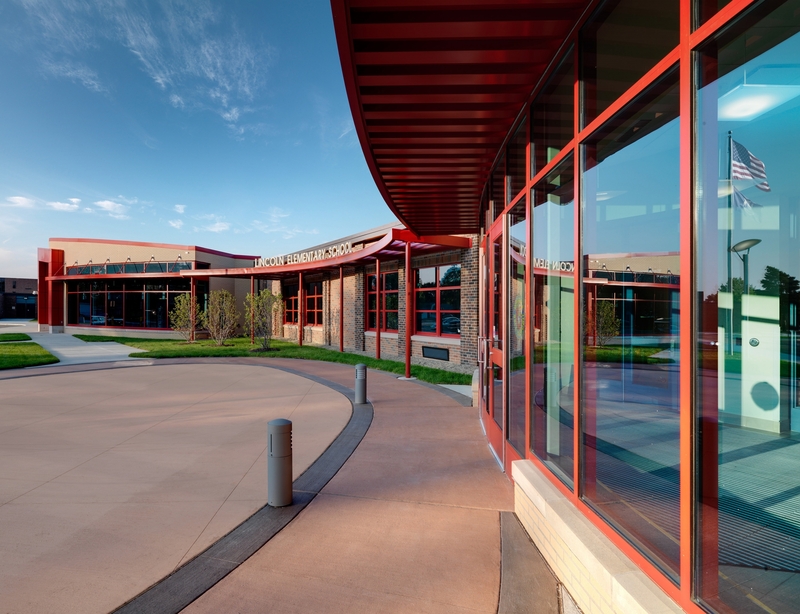 The school provided an interactive resource for the students, teachers and community as it illustrated how rainwater is treated through the use of a rain garden and how light is harnessed through the use of passive solar and daylighting techniques. 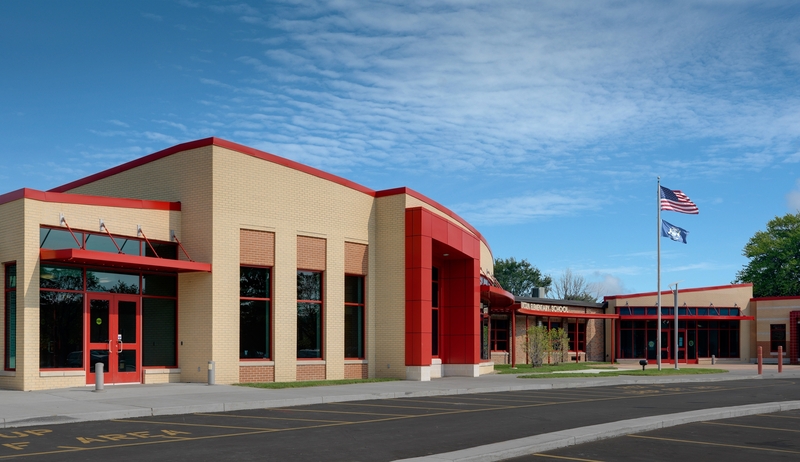 The building additions included a total of nine new classrooms, a new secure main entrance, new media center, student collaboration spaces and a new gymnasium. 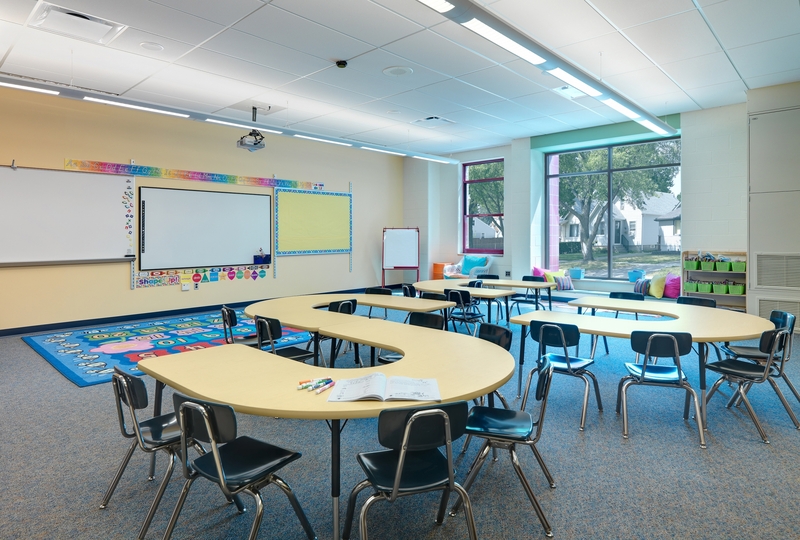 While the existing school remained in its existing structural state, technological improvements were widespread, apparent throughout the facility and intertwined with the entire district to allow sharing and collaboration at all levels. Site improvements were also made improving parking as well as bus and parent drop off / pick up areas. The contents of this webpage are Copyright © 2019 Partners in Architecture. All Rights Reserved.